**8 Months or 54,000+ Miles left on the Factory Drivetrain warranty!!! 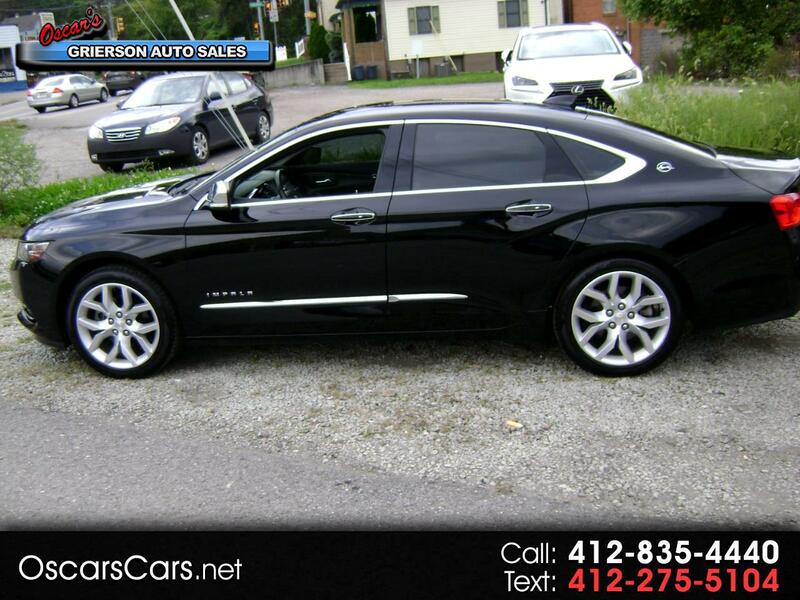 ** This 2015 Chevy Impala is FULLY LOADED! Backup Camera, all LEATHER interior with HEATED SEATS! You can even VOICE TEXT THROUGH THIS CAR!!! Comes with the option to make it into a manual transmission, or use the standard automatic transmission. 12 SERVICE RECORDS, So you know this car was well maintained. Accident free, minor damage reported on Carfax to the passenger side front and rear. Carfax does not provide anymore information, whatever minor damage that there had been, has been expertly repaired. Your eyes will be the best judge, this car looks and drives like new!!! Our hours of operation are Monday - Friday 9:30 - 6:00 and you can reach us by calling 412-835-4440.